Sharon Cramer » Beyond the Page RETURNS! June 6…BEYOND the PAGE is BACK! A NEW day, Monday, the show is now at 2:00 and 7:00 pm! And that’s not all; it’s now 45 minutes long! 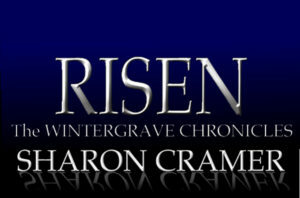 That’s right—MORE of what you love as we read RISEN together, the second installment of The Wintergrave Chronicles. So won’t you join me? Monday at 7:00 p.m. PST? And you can hear the entire reading of THE EXECUTION at your leisure if you support me and become a member of Indie Air Radio. I can’t wait to see you as we will step once more…Beyond the Page.